The Pleasure Park Southampton is open 7 days a week (weather permitting) from Easter through to the end of October, 10.30-5.00pm. 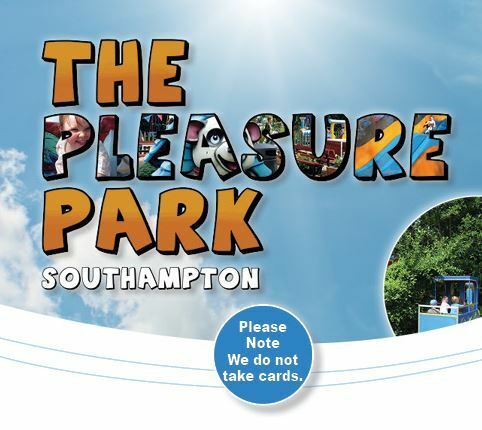 From October to Easter The Pleasure Park Southampton is open weekends only from 10.30 to late afternoon. Please call 07809151365 or 07757 854219 to confirm. Closed Christmas Day and Boxing Day. If you r child has a birthday coming up, what better way to celebrate their big day than by booking a party at the Pleasure Park. Kids have great fun and you don’t have to worry about entertaining them. You provide the food - we provide the fun... click here for more information on our Children’s parties. Southampton funfair destroyed in early morning blaze! Entertaining the children during the holidays and weekends can prove an expensive business, often involving travelling out of town to theme parks which promise the earth and deliver a substantial hole in the pocket! The solution lies right on your doorstep. With over 20 attractions, The Pleasure Park is situated on Southampton’s Sport Centre and is a great value mini fun fair for younger children. Just turn up and have fun... buy as many tokens as you like and away you go. For details on prices please visit our ‘Park info’ page. Come and join in the fun at the best value venue for young children in Southampton, Hampshire. Sorry your web browser does not support HTML5 video.